Little miss funeral in wonderland. This may come as a surprise to some of you, however, Halloween is my favorite holiday. It’s always been my favorite holiday. I don’t know if it’s the free candy or the dressing up to be whatever you wish to be, but I love every aspect of it. I’m constantly brainstorming new costume ideas for the next year and walking down long aisles filled with the creepy decorations wishing for the day I own my own home so that I can turn it into a spooky wonderland. I hope it’s not too cliché, being a funeral director and being my favorite holiday and all. I just can’t help myself! There is something so fun about dressing in costume and ringing door bells and getting free candy out of it! And how does a funeral director spend Halloween you ask? Well, in a funeral home of course. Because if I have to work on the best holiday ever, at least I get to spend it in the appropriate setting. 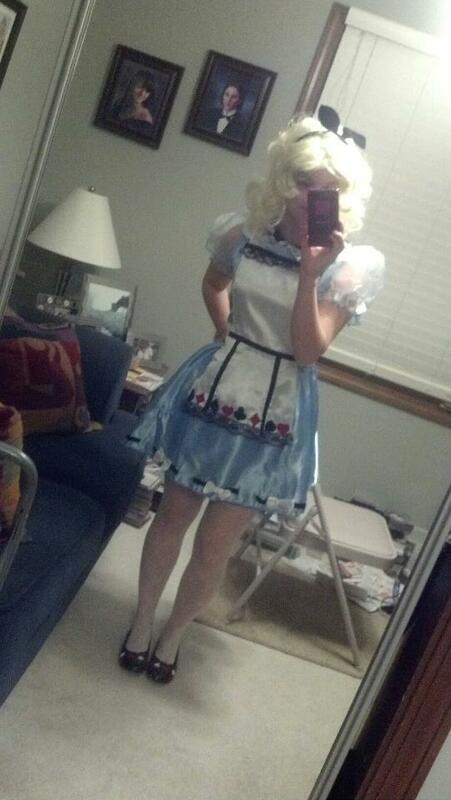 And you bet your bottoms that as soon as I got home I dressed up in my old Alice costume and handed out candy to the local neighborhood kids. And I’m proud to say that compared to everyone who came to my door I was the best dressed. But sorry kids, don’t blame yourself. I do after all, have twenty-two years of experience.